Hi everyone and welcome to the hop! Today, we are celebrating the 2nd Birthday of SugarPea Designs and I’m so excited to be part of this hop! Thank you so much Wendy! It’s a great honor! You know how much I love your stamps and dies! For the first one, I played with the Notebook Journal Card die set! I so love the pencil die! And combined with rainbow colors (you know how much I like this combo), it’s just perfect. For the second card, I used the Hot Diggity Dog stamp set. The stamps in this set are SOOOO cute! I created a little scene using the bone as well! The tiny hearts and the "Yappy Birthday" sentiment are from this set too. I colored the dog and the bone with Copic markers. I made the background using Distress ink and a cloud mask. Celebrating a birthday means, you can win fantastic prizes! 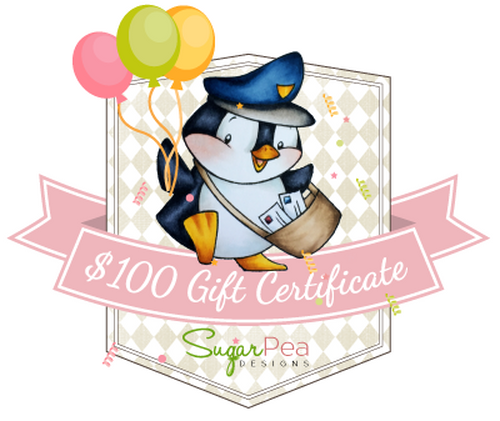 SugarPea Designs is offering a $100 Gift Certificate to someone who comments on all of the blogs in the hop! YAY! Isn’t this an AMAZING prize?!?! But there is also a Link Up blog hop, where anyone can participate for a chance to win a Heidi Swapp Mini Minc Machine by creating a birthday card and linking up on the SPD blog post HERE. But guess what?! That’s not all! 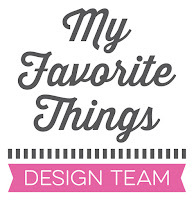 SugarPea Designs is offering a discount for customers! Enter the coupon code BDAY02 at checkout to receive 10% off the entire purchase (valid until March 7th). The Blog Hop and the Link Up end midnight, March 11th and winners will be announced on March 14 on the SPD blog. Happy hopping and thanks for stopping by! Two amazing cards! Your second is too cute. So, so sweet! I love how the bone is hanging down from the frame in the second card. Thanks for the inspiration!! Sigh, I just LOVE your style. Both of these cards are amazing! Love them!!! Oh how clever with that hanging bone, lol! LOVE your rainbow pencils, too! Wow your pencil card is striking and your pup card is adorable! Fabulous cards! I love your card! Those sweet pencils are darling! Love the color too! I love love love your pencil card- adorable! Your puppy card is super cute! Beautifully done! Love love love the colored pencil card! I love your row of colorful pencils! I love both of these cards! Love the rainbow on the first one and the way you hung the bone in the second card. I love your cutie cards!!! Such a lovely and colorful pencil card....but I adore that sweet puppy!! Love the pencils. Bright and colorful. Love the birthday NOTE...those colors are brilliant. OH MY GOSH! I love both of these amazing cards! the first one just pops right off the page with the vibrant colors, and the second one is pure cuteness! amazing job!! Love both cards...thanks for sharing your talent with us! Oh my goodness Francine both of your cards are amazing. What a wonderful job! TFS! I am new to Sugar Pea Designs. So excited to find it! I am really liking the stamps, dies and cards I'm seeing through the blog hop. Your cards are so cheerful and pretty! Awesome cards! LOVE the colored pencils and that adorable pup! Great details on your cards! Oh these are so fun, I love them. Hi Francine ~ Your cards never cease to amaze me and take my breath away. These cards are absolutely spectacular examples to share for the SugarPea Design 2nd Birthday Bash!! 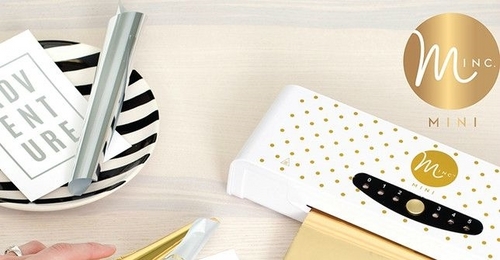 Thanks so much for sharing you fabulous style with the rest of us paper crafters. What beautiful cards. I'm just in love with that beautiful pencil card! I just love the pencils and the colors. Adorable!!!! Love, love,love your pencil card, Francine! Great cards, love the pencil rainbow and that puppy is too cute! LOVE your cards. 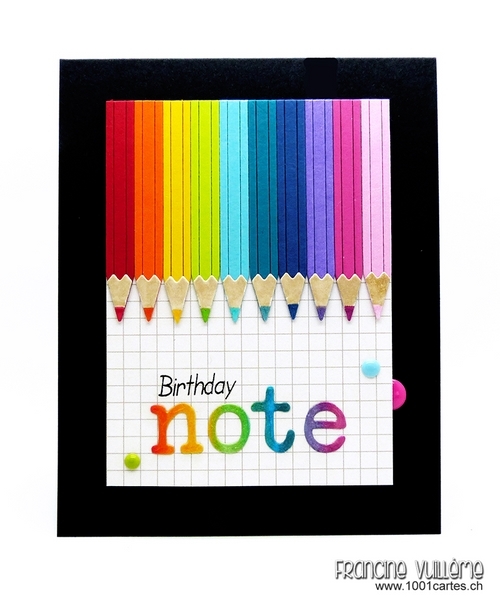 Great idea on the first card, pencil rainbow...so colorful, and you second card so CUTE! awesome card design and coloring. Just incredible! love tour rainbow pencils, so realistic and the other one is adorable too! Love your card, love that pencil die. Want it, need it. Love the rainbow of pencils and the recessed scene for that adorable pup! Great cards. That puppy is adorable. They are so very lovely! Two fabulous cards! Love the colorful pencils on the first card!!! So cute and fun. Thanks for sharing. Both your cards are adorable. I love the pencils in a rainbow! And the doggie is so sweet. Thanks for being on the hop! LOVE the sweet pup and the doggy bone!!!! Hooray for the BDAY !!! Cute puppy card and love the colorful pencils. Great rainbow pencil card and love that cute dog. Fabulous cards! I really love them! 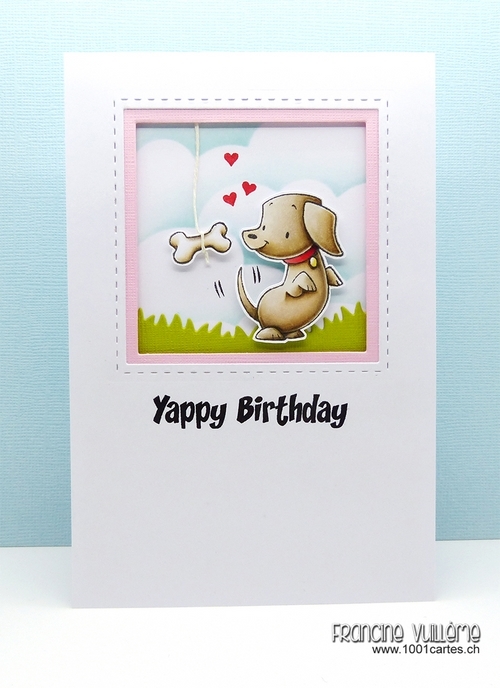 Adorable puppy card love the layout and soft colors! Love your rainbow pencil card!! So clever and CAS!!! Your dog birthday card is just a hoot and I love the colors you used! Brilliant cards! Especially love the first one!! Your colored pencil card is absolutely FABULOUS!!! Great way to use those dies and so much FUN! The puppy card is pure sweetness too! These are both so cute, love how colorful the pencil card is and the puppy is just so stinkin cute!! both cards are beautiful, but my favorite was your coloring card, so amazing! Both cards are beautiful. Wonderful vibrant colors on the first and cute puppy with soft colors on the second. Happy Birthday Sugarpea!!! I love both of your extremely gorgeous cards, wow! Those rainbow pencils are stunning, your work is amazing! Such sweet cards! Love the pencils especially! OMGoodness I am in love with both these card! The rainbow pencils are so fun and that doggie is too cute! Wow, I love both of your cards!! The rainbow pencils are so dramatic and fun- tfs! Huge fan. Your cards always amaze me and this is no different. Love the rainbow pencils and sentiment. Your rainbow pencil card is so awesome!!! Great use of that die set! Once again another super adorable card. I love the hanging bone idea. Thanks for sharing. Congratulations on your GD role for this celebration and what a dazzling duo you've created for us! Your rainbow pencils are delightful; your little puppy beyond adorable! Charming showcases in every way! Happy Second Birthday to SugarPea, and wishes for many many more! Love both of these. The colorful pencils are fabulous and that sweet little dog just makes me happy. These are both fabulous!! Love the rainbow colored pencils, and I LOVE the little bone dangling in front of the sweet little puppy. That pencil card is fantastic! LOVE!!! Love both cards - the bold and bright one, and the soft and sweet one - great job! !